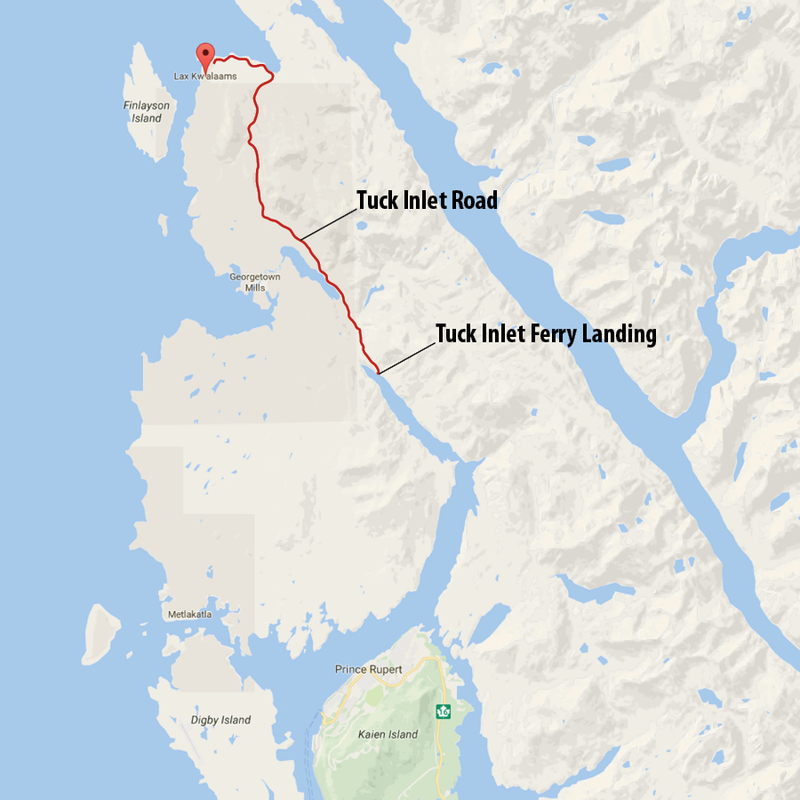 In spring 2016, Tuck Inlet Road was a gravel route connecting the ferry landing at Tuck Inlet, to the village of Lax Kw’alaams, 17.5 km northwest. It’s a different story now. 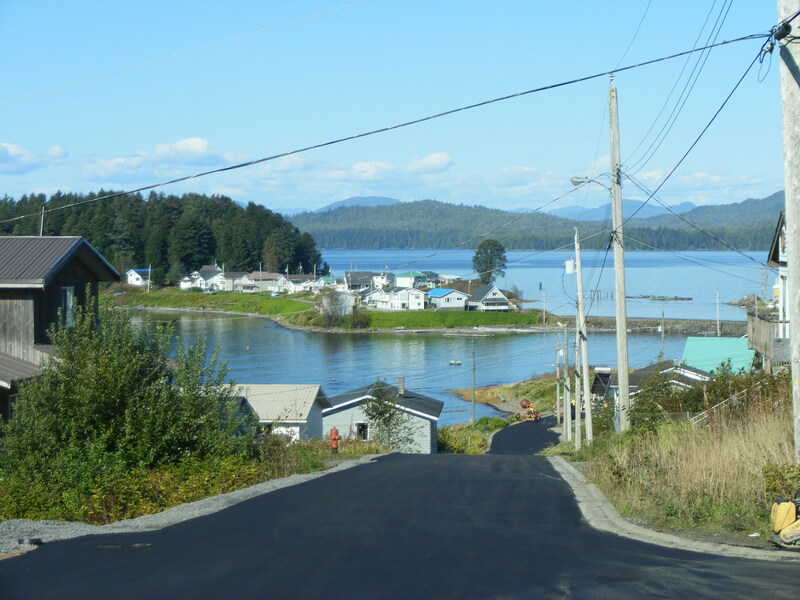 The road is critically important to Lax Kw’alaams’ approximately 820 Tsimshian First Nations residents, as the village can only be reached by water or air. 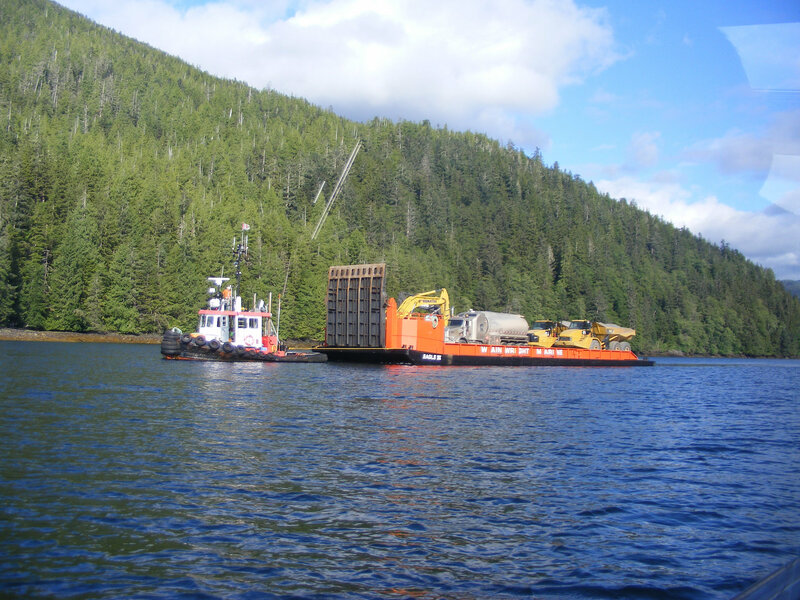 It’s their link to supplies, services and people coming into Lax Kw’alaams, and to medical care, education, economic opportunities and people, places and events beyond their community. 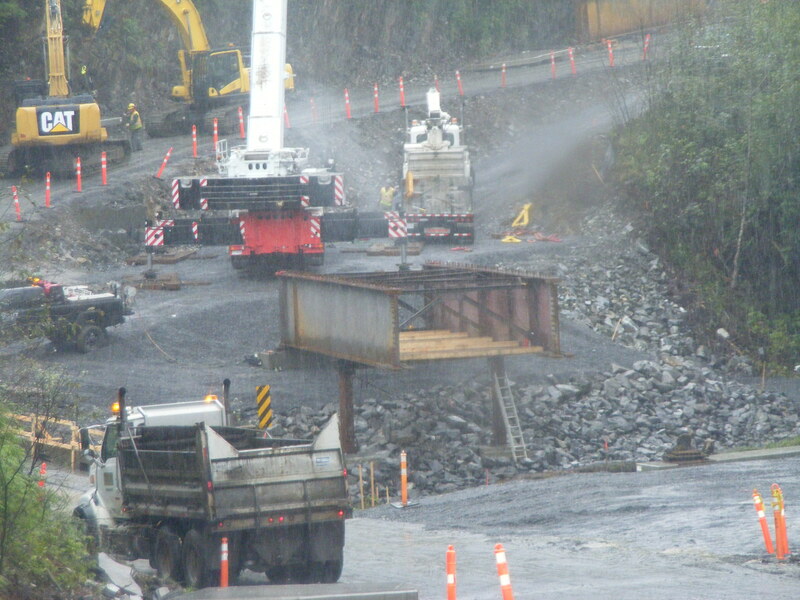 Tuck Inlet Road was last upgraded in 2006. 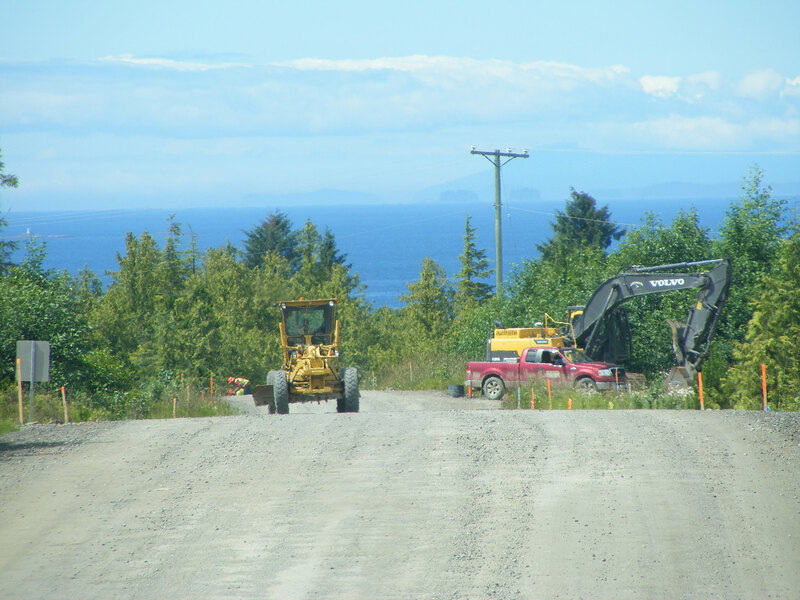 So, to ensure safe, reliable travel for Lax Kw’alaams residents and visitors all year round, in North Coast weather, major improvements began in July 2016. 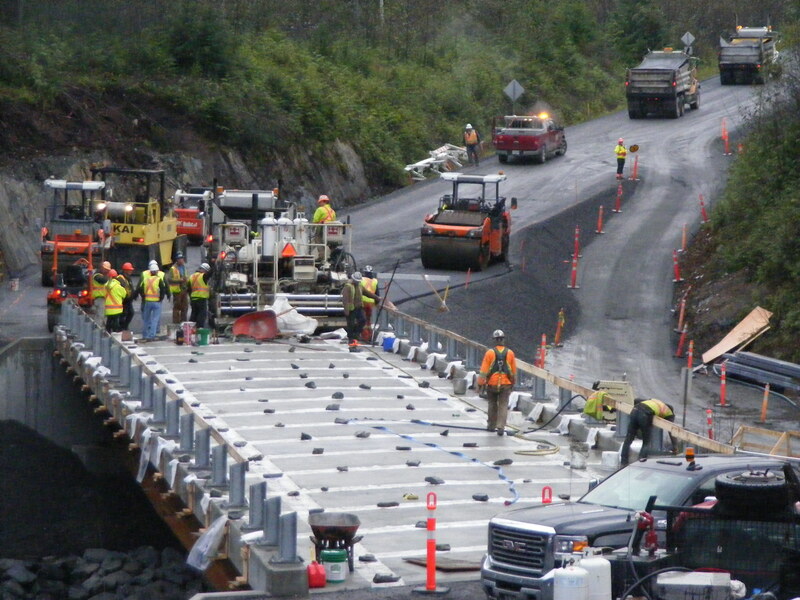 The road was paved and realigned in areas, a bridge was replaced, and we added safety enhancements like concrete barriers, speed reader boards, 15 pullouts, new guardrails on four bridges, and improved signage. The ferry landing parking lot was also paved for the first time ever and lighting, powered by solar panels and wind turbines, was installed to illuminate the area. 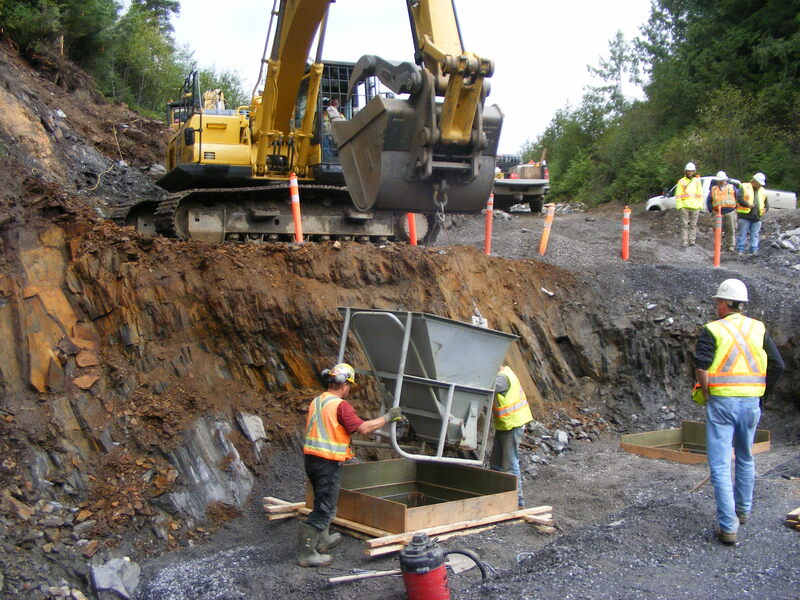 Given the project’s remote location, the first step of construction was to barge in equipment needed to do the heavy work of road and bridge building. 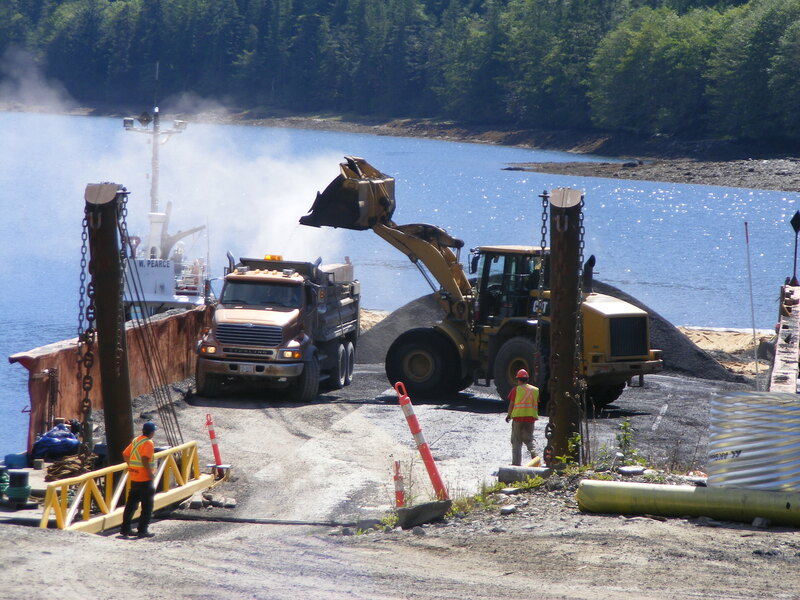 Many other supplies also had to be barged in, including gravel, culverts, a pile-driving machine and bridge components. 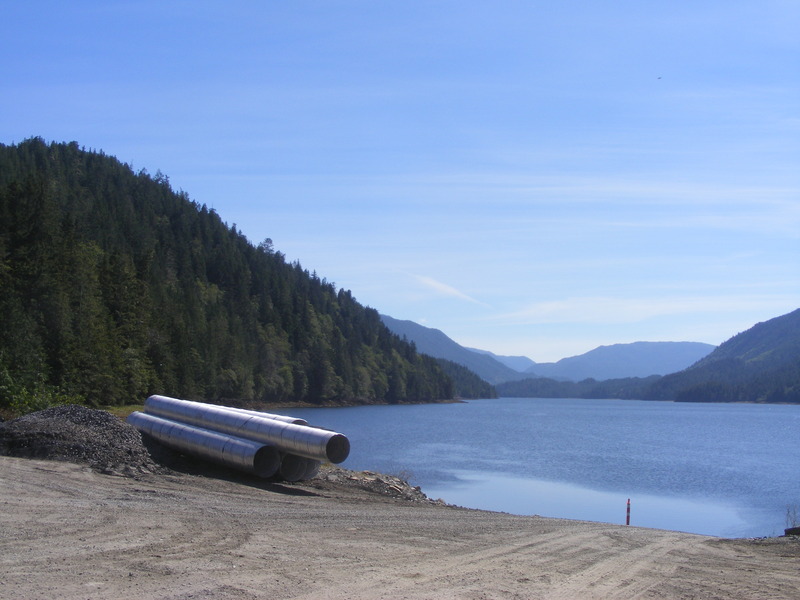 Follow along with us for some photo highlights of this big project in a stunningly scenic part of Northwest BC. 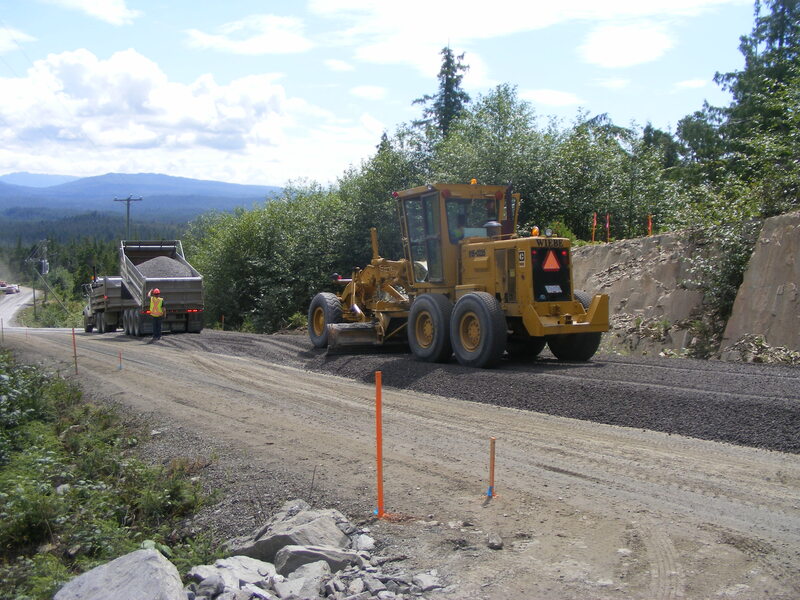 Completed in October 2016, improvements to Tuck Inlet Road have boosted safety and accessibility for residents, businesses and visitors travelling to and from Lax Kw’alaams. 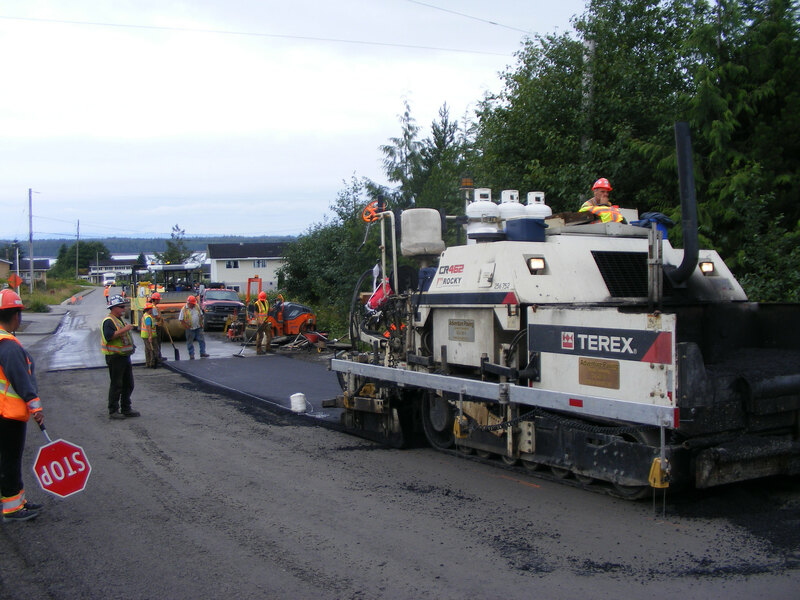 Paving has created a solid surface that will more dependably serve the community than a gravel road. 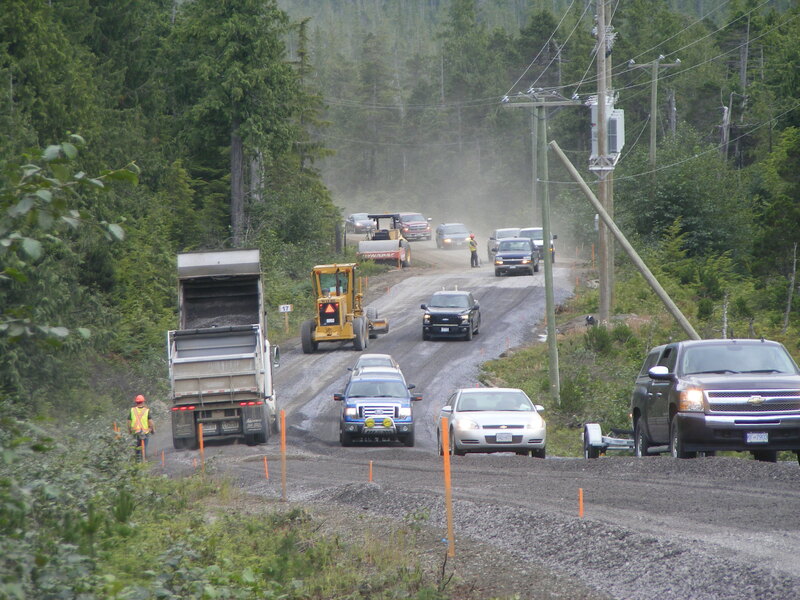 This project was part of the ministry’s 10–year transportation plan, to work with First Nations on projects that support economic development on their lands. Fly along with us for a drone’s eye view of the new paved ferry parking area, which has lights that run off a combination of wind and solar power, and a generator for back up when there is not enough of either. Here’s a late 2016 “aerial drive” of the newly smooth and safer road.